Our product line includes all styles of braided connectors, including stainless steel and bronze braided hose assemblies, and stainless steel braided rubber heat pump/fan coil assemblies. These braided assemblies solve problems such as vibration and noise control, as well as providing the ability to accommodate offset pipe motions. Rubber spherical expansion joints in single and double sphere style are the industry’s best option for absorbing noise and vibration generated by mechanical equipment such as pumps, chillers, and air handlers. 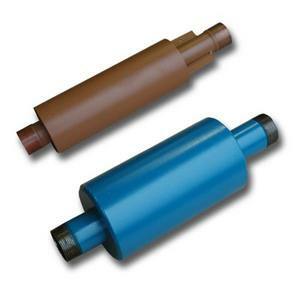 These products are also capable of taking up limited amounts of thermal pipe growth. Bellows pump connectors, expansion compensators, externally pressurized expansion joints, PTFE bellows, and stainless steel bellows expansion joints are available for a variety of pipe expansion applications and equipment connections. Unisource V-Loop connectors are manufactured and designed for both seismic and thermal expansion problem solving. Uni-Loops are available for steel or copper piping for a wide range of services, such as mechanical, plumbing, and medical gases. Unisource HVAC products are marketed through an organization of manufacturers representatives and mechanical equipment distributors throughout the United States and Canada. These representatives stock a wide variety of our standard products. Rubber, Metallic, PTFE…We’ve got it! Unisource Series 401 & 401-L stainless steel braided pump connectors are the standard of the industry for a rugged, versatile flex product to connect piping to vibrating mechanical equipment. 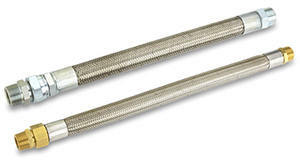 Series 401 & 401-L stainless steel connectors combine 300 series corrugated stainless steel hose and braid with weld-on carbon steel end fittings for a high-pressure assembly. Standard connectors with stainless steel end fittings are also available. Unisource starts with a high core-count inner hose for greater flexibility and better noise and vibration control efficiency. 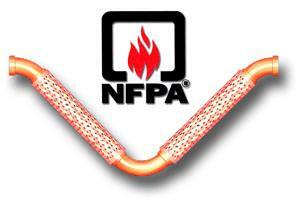 Many manufacturers utilize a less expensive wide-pitch corrugated hose. A tightly woven stainless steel braid provides high-pressure ratings, even in high-temperature heating water applications. Series 401 threaded are made to traditional industry standard overall lengths. These connectors are designed to provide good efficiency for noise and vibration control. Series 401-L are longer length connectors, built for even greater noise and vibration control, and a minimum of 2” permanent lateral offset. 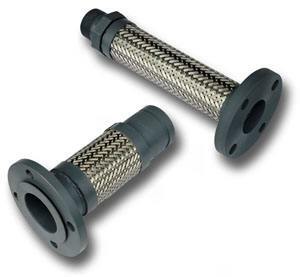 Series 402 & 402-L stainless steel connectors combine 300 series corrugated stainless steel hose and braid with weld-on carbon steel flanges for a high-pressure assembly. Unisource starts with a high corr-count inner hose for greater flexibility and better noise and vibration control efficiency. Many manufacturers utilize a less expensive wide-pitch corrugated hose. A tightly woven stainless steel braid provides high-pressure ratings, even in high-temperature heating water applications. Series 402 is made to traditional industry standard overall lengths. These connectors are designed to provide good efficiency for noise and vibration control. Series 402-L are longer length connectors, built for even greater noise and vibration control, and a minimum of 2” permanent lateral offset. Unisource Series 403 & 403-L stainless steel braided pump connectors are the standard of the industry for a rugged, versatile flex product to connect piping to vibrating mechanical equipment. 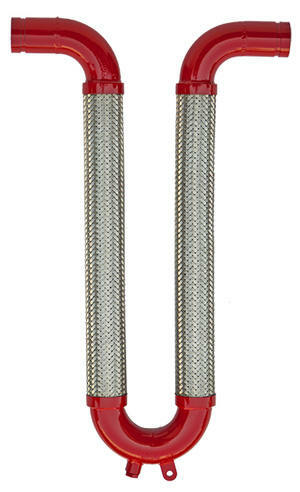 Series 403 & 403-L stainless steel connectors combine 300 series corrugated stainless steel hose and braid with weld-on carbon steel end fittings for a high-pressure assembly. 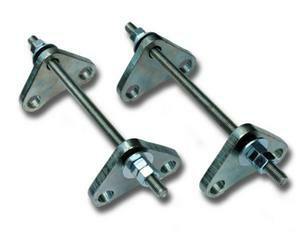 Standard connectors with stainless steel end fittings are also available. Unisource starts with a high corr-count inner hose for greater flexibility and better noise and vibration control efficiency. 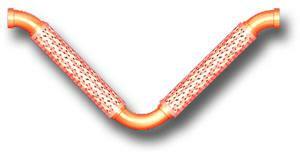 Many manufacturers utilize a less expensive wide-pitch corrugated hose. 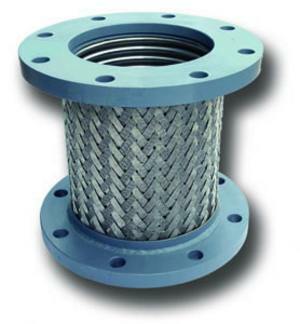 A tightly woven stainless steel braid provides high-pressure ratings, even in high-temperature heating water applications. Series 401 threaded are made to traditional industry standard overall lengths. These connectors are designed to provide good efficiency for noise and vibration control. Series 401-L are longer length connectors, built for even greater noise and vibration control, and a minimum of 2” permanent lateral offset. Unisource Series 405 connectors are a material and labor saving device designed to provide vibration and noise isolation when connected between piping and vibrating equipment. These special connectors are intended to facilitate a reduction in pipe size when connecting to mechanical equipment. They are normally installed on the discharge side of HVAC pumps. Since Series 405 connectors incorporate a reduced size flange on one side, it eliminates having to install both a straight flex connector and a pipe reducer. 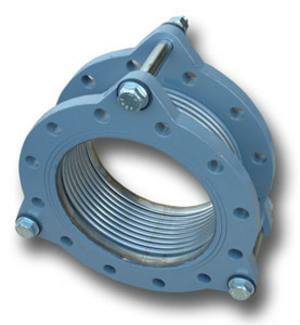 Series 405 connectors utilize Superflex series 300 stainless steel hose and braid, carbon steel flanges, and carbon steel bell reducers. Longer length connectors are available on request to provide additional lateral deflection and increased vibration control efficiency. Series 406 – 150# carbon steel weld neck flanges. Series 407 – Sch 80 male carbon steel NPT hex ends. Series 408 – Sch 80 carbon steel beveled weld ends. Each assembly is factory pressure-tested and is rated to 350 PSIG working pressure. Safety factors range from a minimum of 4:1 in 4” size to greater than 15:1 in size 1/2”. Finished assemblies are labeled with manufacturer, part number, maximum working pressure, certification report number, serial number and CSA logo. Unisource CSA rated connectors are intended to provide vibration isolation and accommodate offset pipe motion. Unisource recommends a minimum 24” overall length, but the user may specify other overall lengths in keeping with the hose ratings for static and dynamic bend radius. 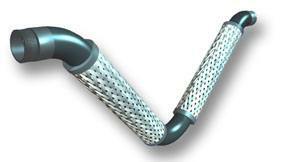 Unisource Superflex stainless steel braided hose is available in a variety of special styles. 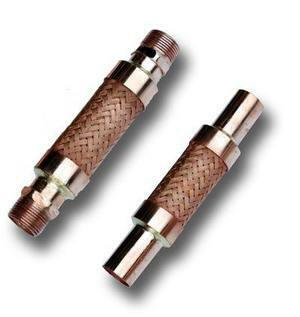 Series 410 & 411 connectors are the standard of the industry in braided connectors for copper piping. This style connector is constructed with bronze corrugated hose and braid for flexibility and optimum resistance to flux chemicals. 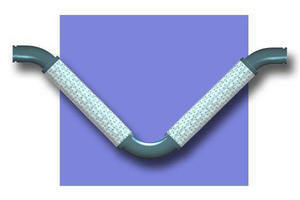 Stainless steel hose and braid is available for higher-pressure ratings. The traditional overall lengths of Series 410 & 411 connectors are designed to isolate equipment vibration and minimum permanent offset. 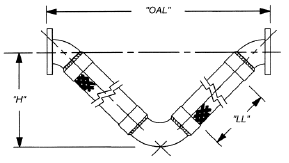 Longer length connectors can be fabricated upon request that will accommodate greater lateral pipe motions. Series 411 is offered with standard copper sweat/tube ends. Series 410 is built with copper hex male NPT ends These connectors are typically in stock in sizes ranging from 1/2” to 3” diameter. Unisource Series 412 connectors are ideal for use as either a U.L. rated vibration eliminator in refrigeration applications or as an extended length HVAC connector for copper pipe. 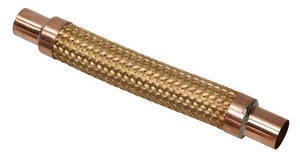 Series 412 connectors are offered in the standard bronze braided style or with stainless steel hose and braid, combining the exceptional physical properties of stainless steel hose and braid with copper tube end connections. Our advanced attachment process ensures a positive, corrosion-free end fitting at an economical cost. 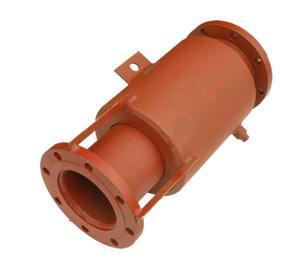 The end result is high working pressures, high temperature ratings, corrosion resistance, and longer product life. U.L. recognized. 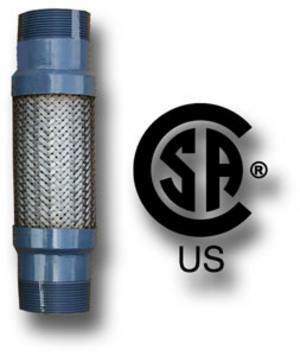 Please note that chlorinated or acid flux should not be used in combination with the optional stainless steel braided Series 412 connectors. 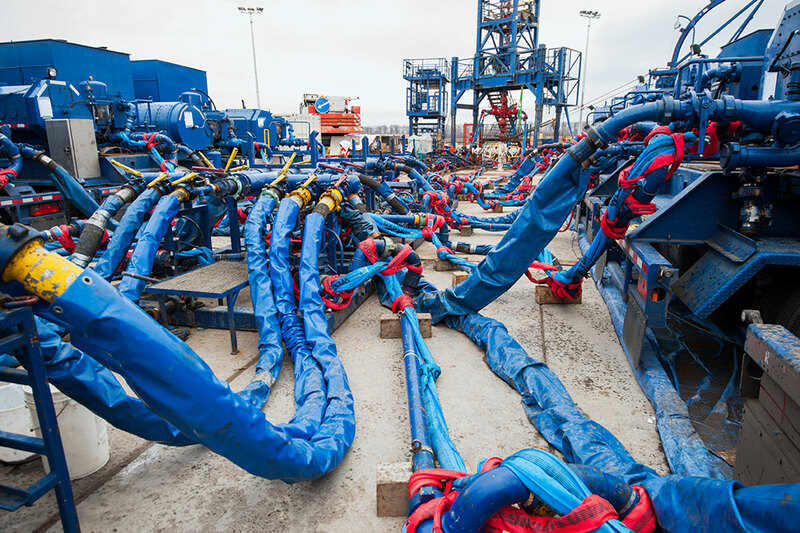 Unisource Series 413 hose assemblies are specifically designed for connecting to H.V.A.C. water equipment. These economically priced assemblies are ideal for heat pump/fan coil applications and are equal to or surpass specifications for most competitive hose assemblies built for similar applications. In addition, Series 413 conforms to ASTM E 84-01 for fire rating. Series 413 connectors are constructed using an EPDM rubber inner core, stainless steel exterior braid, 304L stainless steel crimp ferrules, and either brass or zinc dichromate steel threaded ends. 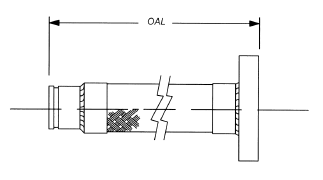 End connections are male solid NPT one end and a swivel adapter producing male swivel NPT on the other end. Operating pressure ratings are calculated at an average of 4:1 safety factor. Available sizes are 1/2″ I.D. through 2″ I.D. and lengths from 12″ overall to 36″ overall. For the compensation of thermal growth in small diameter piping systems, Unisource Series 414, 415, & 416 Expansion Compensators are the ideal choice. 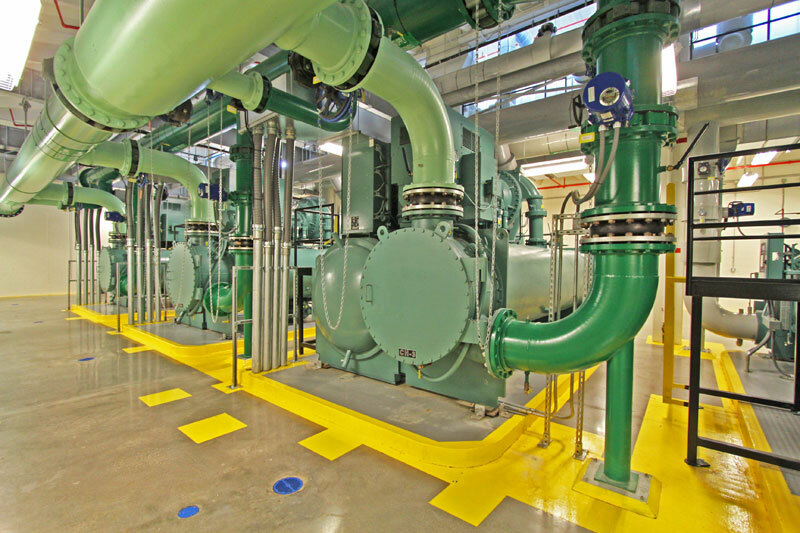 These economical expansion components utilize the design theory behind externally pressurized expansion joints that are used in large diameter steam piping and apply these designs to a smaller size, lower temperature piping systems. Unisource Expansion Compensators are often used in HVAC systems such as hot water lines and steam condensate to absorb the effects of thermal pipe growth. 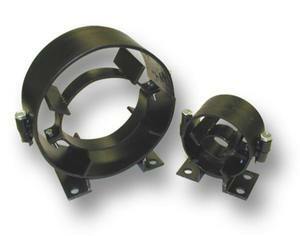 Like externally pressurized expansion joints, Series EC expansion compensators are a packless, maintenance-free joint that incorporates an all stainless steel multi-ply flexible bellows, a steel enclosure, with an external and internal guide ring/sleeve to maintain proper alignment of the inner pipe. 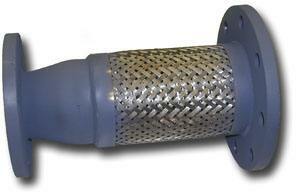 The sleeve isolates the bellows from media, eliminating flow turbulence. External pressure is applied to the bellows via a gap between the internal flange and the housing. 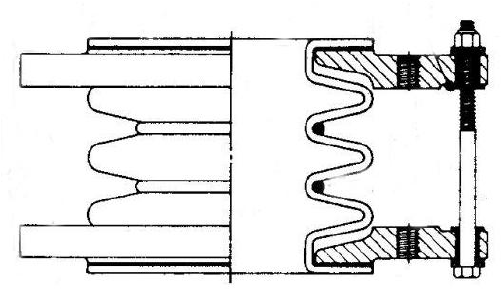 Bellows squirm is eliminated by means of an internal flange, and also guides the bellows along the longitudinal center-line. The external pressure keeps the bellows stable. For proper operation, expansion compensators must be adequately anchored and guided. Choose from either Series 414 with carbon steel male NPT threaded ends, Series 415 with carbon steel beveled weld ends, or Series 416 with copper tube ends. Carbon steel beveled weld ends or flanged ends can be attached upon request. Most styles are available in sizes from 3/4” through 4”. All sizes and styles are rated for 2” of axial travel. Caution: manufacturing process utilizes silver brazing. Do not exceed 1000°F during installation. Series 418 & 419 Bellows Pump Connectors are an ideal solution when a flexible pipe connector is required in severe service applications. Often, an application will require a connector to isolate noise and vibration, relieve stresses on equipment, and handle both high-temperatures and axial motion. Rubber connectors will have relatively low-pressure ratings at high temperatures. Braided connectors can offer high pressure/ high-temperature capabilities, but do not offer any axial movement capabilities. Pressure ratings of bellows pump connectors are virtually unaffected by high system temperatures and these special connectors are able to absorb limited amounts of axial travel and lateral offset. The special design of Unisource Series 418 & 419 connectors includes multi-ply stainless steel bellows to provide long life and isolation in high-frequency applications. 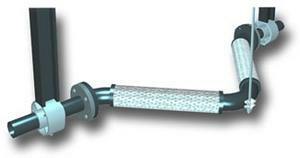 Three built-on tie rods prevent over-extension in high-pressures and eliminate jobsite installation of rod assemblies. Special rubber grommets are installed on each end of rods so that noise and vibration is not transmitted across the steel rods. Series 418 bellows pump connectors are our standard overall length connector designed to provide 1/2” compression and 1/8” lateral motion, plus pump vibration. Series 419 connectors are constructed in overall lengths to match standard single rubber connectors. Series 419 connectors will provide about 1” compression, 3/8” extension and from 1/8” to 5/16” lateral motion, plus pump vibration. Sizes larger than 12” upon request. 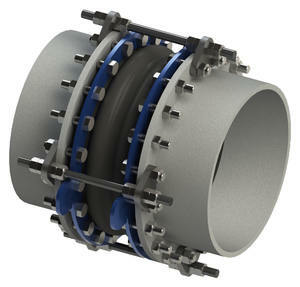 Tef-Flex Style 112A and 113A Convoluted PTFE Bellows Expansion Joints and Flexible Couplings offer the best combination of low spring-rate flexibility, temperature resistance, and the chemical inert properties of PTFE material. 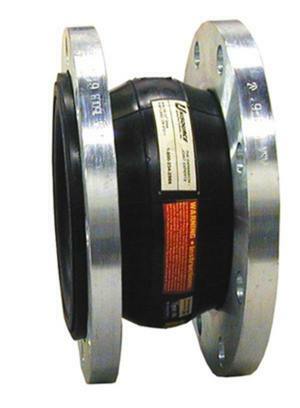 The “Tef-Flex” Style 112A 2-Convolute Flexible Coupling, and Style 113A 3-Convolute Expansion Joint were designed to meet the needs of the HVAC, high-technology, and chemical/petrochemical industries. 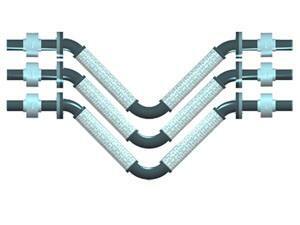 The construction of the “Tef-Flex” connector utilizes 2, 3, or even 5 molded convolutions of white PTFE. 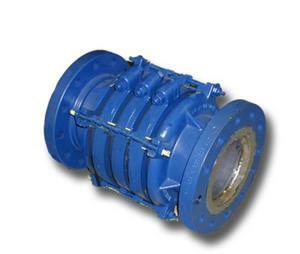 These convolutions are reinforced with metallic rings between the bellows for pressure rating and stability. Standard galvanized ductile iron backing flanges are protected by the lip of the PTFE bellows, so that all wetted surfaces are PTFE. Steel limit rods are factory installed. Additional convolutions provide greater movement capability. 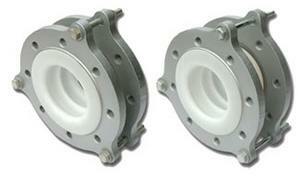 Style 112(316)A and 113(316)A include Type 316 stainless steel backing flanges and hardware. Options include high purity cleaning and packaging. 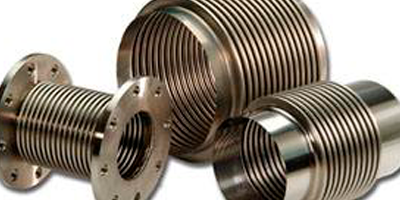 “Tef-Flex” expansion joints can also be manufactured in machined, accordion style. “Tef-Flex” connectors are suitable for connection to metallic piping or plastic lined metallic piping. 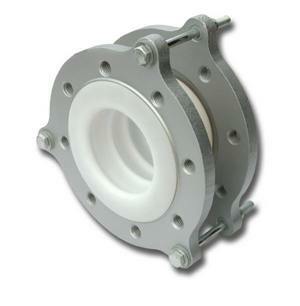 Tef-Flex Style 112A Convoluted PTFE Bellows Flexible Couplings offer the best combination of low spring-rate flexibility, temperature resistance, and the chemical inert properties of PTFE material. The “Tef-Flex” Style 112A 2-Convolute Flexible Coupling were designed to meet the needs of the HVAC, high-technology, and chemical/petrochemical industries. The “Tef-Flex” bellows connectors are versatile and will 1) absorb pipe movements and stress; 2) isolate mechanical vibration; 3) reduce system noise; 4) protect against surge forces. “Tef-Flex” connectors are suitable for connection to metallic piping or plastic lined metallic piping. Anchor Base: None. Can be ordered.